​Baptism is one of the two sacraments in the United Methodist Church (the other being Holy Communion). Through baptism you are choosing to accept God's grace into your life and the church that is baptizing you is welcoming you into their community and promising to raise you and nurture your faith. Sacrament (n): An outward and visible sign of God's grace. ​In United Methodist churches, confirmation isn’t a sacrament but a rite that acknowledges God’s grace upon their lives and sets a young person down a path of discipleship. Many United Methodists are baptized as infants and confirmation allows them a chance to choose to affirm their commitment and belief that their loved ones chose for them when they were a baby. 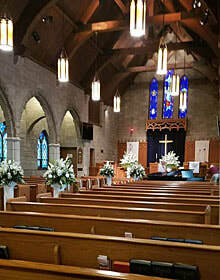 Our church is a beautiful place to hold your wedding ceremony, whether you have a large wedding in the sanctuary(pictured left), or a smaller more intimate service in the Chapel. 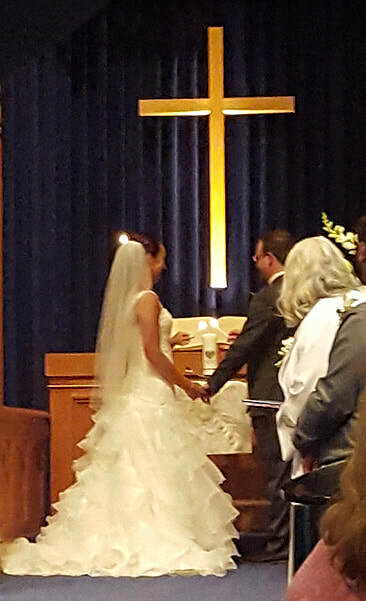 Weddings at FUMC are a worship service in which we dedicate your marriage before God. We share this celebration with the community of faith. The vows you take and the giving and receiving of the rings are promises not only to one another, but promises to God. Seeking His help in your marriage will add joy, happiness, strength and meaning to your lives. 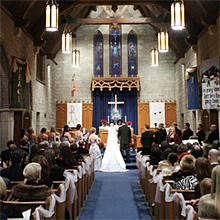 It follows that the elements of a church wedding be appropriate for a service of worship. Your family, friends, and loved ones comprise the church on this occasion. 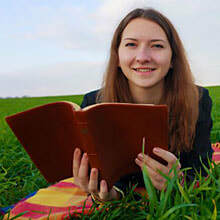 In faith this body symbolically lifts you up to God for blessing and acceptance.ited Methodist churches, confirmation isn’t a sacrament but a rite that acknowledges God’s grace upon their lives and sets a young person down a path of discipleship. 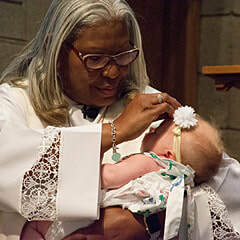 Many United Methodists are baptized as infants and confirmation allows them a chance to choose to affirm their commitment and belief that their loved ones chose for them when they were a baby. The first step in arranging for a wedding is to look over the information packet and complete the Request for Scheduling a Wedding form included in the packet. After completion, please mail the form along with a returnable $50.00 deposit to the church. Once your proposed wedding date has been cleared with the pastor’s calendar, your deposit will secure your wedding and rehearsal dates. 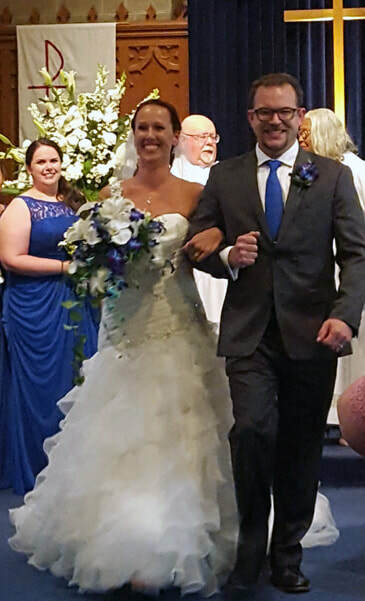 For more Information about weddings at FUMC Des Plaines contact the Church Office at (847) 827-5561.